Snapchat has become the #3 network in terms of time spent by Millennials, yet most brands have no real presence. Certainly this is not the most pressing problem for marketers today but channel fragmentation is becoming a looming challenge as consumers rapidly change how they use social media. Additionally, engagement through mobile devices is approaching 70%, posing yet another attention hurdle for brands seeking to break through to increasingly distracted targets. One of the strategies many marketers have adopted is a heavy reliance on paid social media however; this also poses challenges of audience engagement and trust. Not surprisingly, interaction rates for paid social media have fallen below that of banner ads and consumer trust for paid ranks among the lowest for all media types. In most cases, paid content is simply ignored or worse, derided. There is nothing inherently wrong with a paid approach, it just won’t create substantial social engagement and audience growth as a stand-alone tactic. As social media becomes the most relevant channel in terms of website referral, surpassing search, the time to act is now. 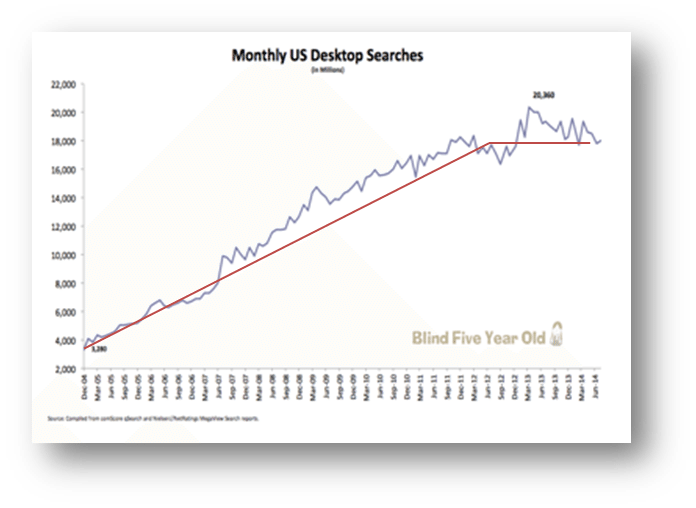 Desktop search has been trending flat for several years now. Much of this is because the concept of a search engine has morphed. Pinterest has become a great inspirational search platform, as has Twitter for news and live events, YouTube for videos along with Instagram for lifestyle. Think about your day-to-day mobile use, for instance. You’re probably casually browsing through one of these platforms, catching up on the latest relationship status, find that perfect recipe for homemade cookies, or gawking over the newest celebrity hairstyles. While doing this, you are voluntarily exposing yourself to various products and brands that are creatively showcased on actual people’s social channels. That’s how we find our “Must Haves”- that’s how we decide to try something new! While Google has begun to index some of this content, the manner in which we are finding information has changed. This is causing widespread media disruption and new kinds of content producers have become channels in their own right. As the scale is now tipped by people consuming content where they are (Pinterest, Facebook, Twitter, Blogs, Vine, YouTube, Snapchat, etc. ), it is through this approach that we can ensure content reaches the target audience, wherever they are. In its simplest form, Carusele strategically places branded content in thousands, sometimes millions, of places around the social web – embedded in themed content that makes it both natural and relevant to a brand’s followers. It’s not content on 20 blogs – how much of an impact would that really have? Instead, our focus is the combination of organic and paid syndication, coupled with aggregation of content resulting in Content Everywhere, or Organic + Engaged + Paid = Content Everywhere. To raise awareness of CorningWare’s newest product line, CW by CorningWare, Carusele partnered with content producers in the home entertainment and cooking categories to launch a two-phased campaign, #CWColor. 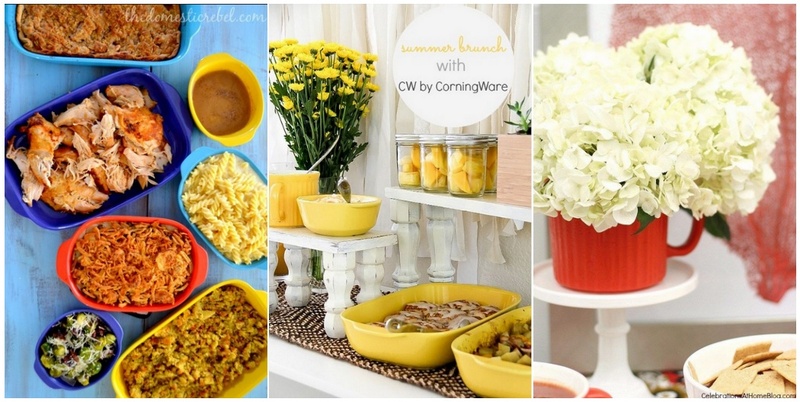 Through both phases, content producers created unique content highlighting the variety of colors in the bakeware line. All content was then aggregated on Pinterest as a color inspiration board. Then the content was aggregated to a branded Pinterest Board that lived on a host influencer’s Pinterest channel. As a result, the brand’s product became an understated, natural part of the Pinterest community, rather than an obvious advertisement. Influencers don’t just snap pictures of the products they are promoting. To really capture the attention of their readers, we strategically select influencers who know how to capture a brand’s message by incorporating the product/brand in their own lives and sharing their experiences with their online following. They basically provide the pins we all want on our Pinterest boards, the tips and tricks we learn on YouTube, the Facebook post grandma shares on our wall. Organized influencer-driven content syndication across various social platforms and media partner sites makes it possible for content producer’s work to grow far beyond their own platforms. As the content moves throughout the various social channels, it reaches multiple audiences building awareness of the product or company. This goes back to the shares, pins and views mentioned earlier, showing influencer content can reach a massive amount of people without forcing a brand advertisement down their throat. A group Pinterest board aggregated influencers’ pins of their vibrant content as well as pins of color inspiration. With a minimum investment, this campaign exceeded its goal by 1,100% and the content produced will live on.